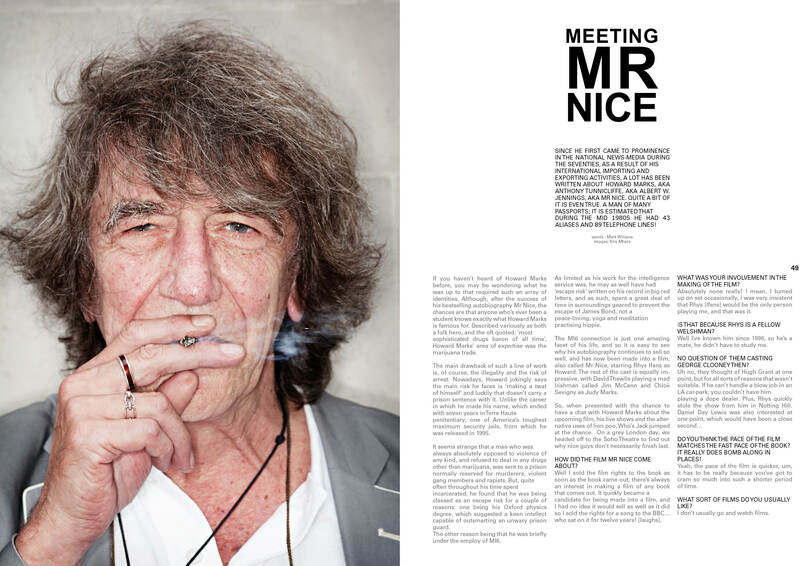 For the October 2010 issue of Who’s Jack magazine, I interviewed Howard Marks to tie-in with the upcoming biopic of his life, Mr Nice. The interview took place in Soho Theatre, Dean Street, and I took along photographer Kristoffer Myhre to get some great images too. 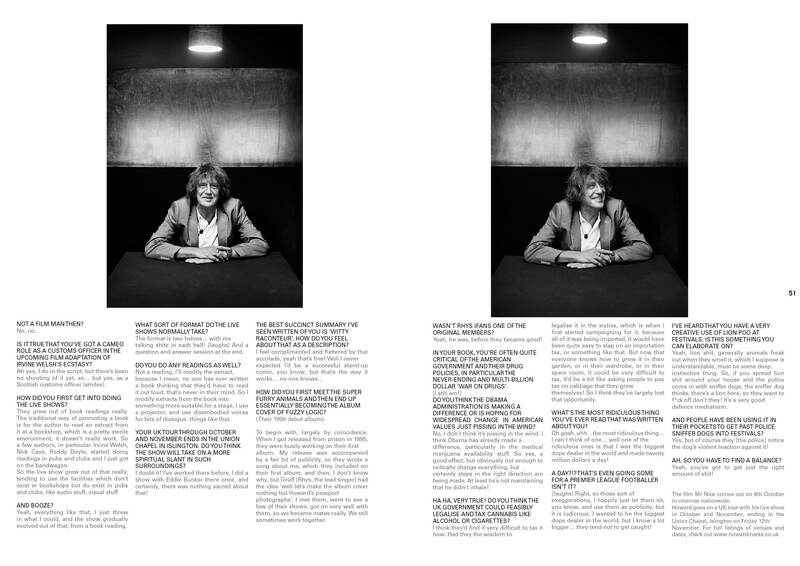 To read the interview, click on the images and zoom in a bit.